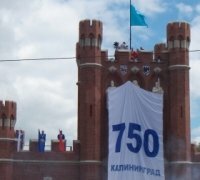 Will Kaliningrad become the European Hong Kong? Kaliningrad Region is the Russian enclave, which has become its part according to the Potsdam Treaty and is probably the most heavily militarized place in Europe. It has the only ice-free Russian port in the Baltic Sea with about 90 percent of the world‘s amber. Kaliningrad Region is sort of the Russian gate to the West, therefore it attracts foreign investors. The Region has the Baltic fleet facilities of the Russian armed forces, huge shipbuilding and repair capacities, as well as facilities for vehicle assembly and production of electronic devices. Internet in Russia– threat to the official authorities or weapon of propaganda? Good standing of the Internet media provides a possibility to compete not only with the press and television. 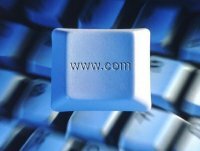 It made authorities of certain countries to consider Internet as a space of new opportunities and, sometimes, threats. The information freedom of Internet first of all is dangerous to the authoritarian regimes, therefore they seek introduction of censorship regarding Internet. Russia‘s withdrawal from the Conventional Forces Treaty in Europe: is ita military or political step? Last week the Council of the Russian Federation approved V.Putin's Decree on suspension of its participation in the Conventional Forces Treaty in Europe (CFE). If NATO does not agree to make concessions sought by the Kremlin, the suspension would come into force on 12 December. Ninety years have passed since the bolshevik revolution in Russia on November 7, 1917. Millions of people died during the revolution not only in Russia, but in all the countries directly related to bolshevism. If bolsheviks were still in power in Russia, the anniversary of revolution would have been celebrated pompously. Some time ago V.Putin paid a visit to Iran and took part in the Summit of leaders of the Caspian Sea states. However, the world community was more interested in the meeting of V.Putin and president of Iran Ahmadinejad and in its possible consequences. Kasparov vs Putin. Who will get the mate this time? 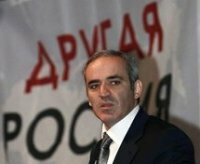 Coalition „The Other Russia“ announced the former World Chess Champion G.Kasparov its candidate to the presidential elections of 2008, however, the majority of political analysts consider that his political capacities are week. According to G. Kasparov, V.Putin and his regime are the main causes of Russia‘s problems. 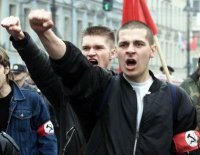 Xenophobia, racism, anti-Semitism and Islamphobia has become an ordinary phenomenon in Russia, although this country publicly declares its multi-nationality and respect to various religions. However, today the margin separating xenophobia from the Russian patriotism has nearly vanished. On 24 September the new Russian Government has been formed. 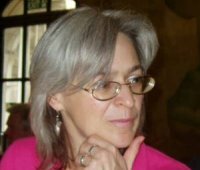 Minor changes in the composition disappointed political analysts of Russia and Western countries, however, several changes should be analyzed in a more detail. First of all it is worth while emphasizing family connections of members of the Government. The list of the military demarche of Moscow of the recent months worries the observers: gas „wars“ with Ukraine and Belarus, pressure of Georgia, threats on termination of the CFE Treaty and direction of the missiles towards European countries, claims to the natural resources of the Arctic, resumption of regular flights of the strategic aviation, insinuations on a possibility to review the issue of Crimea’s belonging to Ukraine and even a threat to deploy the strategic nuclear weapon in Belarus. Some time ago president Vladimir Putin said that Russia permanently resumed long-range patrol flights of strategic bombers, which were suspended in 1992. The response of the United States to the Russian actions was quite interesting: press representative of the State Department announced that „...Russia decided to take part of the old aircraft from naphthalene… ”. One more element added to the symptoms of reversion to the soviet times in Russia - the wave of ideological emigration. Events of 2007 revealed a trend the key principle of which can be described in several words: „to run away from Russia on time“. This phrase has become especially relevant after the murder of the journalist A.Politkovskaya. Even being aware of huge threat to her life, she did not leave the country and proceeded with her political activity. Why there was no celebration of the Moscow putsch anniversary? By the end of August 2007, 16 years have passed after the failed putsch in the Soviet Union. There are a lot of theories, explaining its goals and what was behind this event. 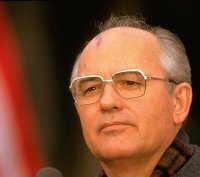 Some people say that M.Gorbachev organized the putsch and that his supposed arrest in Crimea and return to Moscow was a well organized play. However, a more important fact is that the putsch collapsed and this meant the end of the Soviet Union, officially registered in December of 1991 in the Belovezh forest. Fifteen soviet republics were given an opportunity to become civilized states. How did they use this opportunity? Political manifestations are part of the recent political life of Russia. Their tradition comes back to the turbulent last decade of 20th age, and their current activity was predetermined by the policy of the current official authorities of the country. This has become the way for certain political and public actors of the current Russia of presenting own position and increasing their popularity. The Russian media is famous for its negative attitude towards the Western world and especially the policy of the United States. The opposite opinion practically is not presented. This negative attitude is especially clearly expressed in the newspapers Твой день, Комсомольская правда, Известия and TV channel Первый канал. In the modern world the relationship of media with the political discourse is of a fundamental nature. Theoretically, in democratic states the means of communication are independent, however, in reality TV channels, newspapers and internet websites of the Western states broadcast and publicize either single-sided or tendentiously interpreted information.